Mumbai Marathon is fast-approaching, and the serious runners probably started training sometime last year to complete either the 21-kilometer or the 42-kilometer race. Of course, there is the Dream Run to opt for, but that’s for those who want to have fun. Yet, there are those who take the Dream Run seriously and run the entire distance. With barely a fortnight left before the Mumbai Marathon, we share some of the best routes you can take to prepare yourself and increase your stamina before race day. Running on the famous promenade with the sea breeze hitting your face is something dreams are made of. And in Mumbai, that dream is a reality. For those who want to run at an incline, try running up the slope leading to Teen Batti. Another part of the city that gives you the wonderful sea breeze, Worli sea face is another part of the 21-k and 42-k race (the first sea portion part being Marine Drive). There are several solo runners and groups you can be a part of on this stretch. One of the most scenic places for a good run, Yeoor Hills is located near Sanjay Gandhi National Park, away from Mumbai city’s bustling life. It is usually favoured by cyclists and runners, but you have to pay an entry fee. It’s absolutely worth it though. Running the stretch along Powai lake is an experience like no other. You have a promenade, around Powai lake and also has better, developed roads than most parts of the city. You can enjoy a long run combining Hiranandani Gardens, Powai Lake and the Forest Park. Altogether, that would cover about 4-5 kms! The latest in the list of promenades in the city, the Bandra Sealink promenade has a number of morning walkers and runners. The roughly two-kilometer stretch one way, is divided into solid and muddy paths, which gives runners strength training. 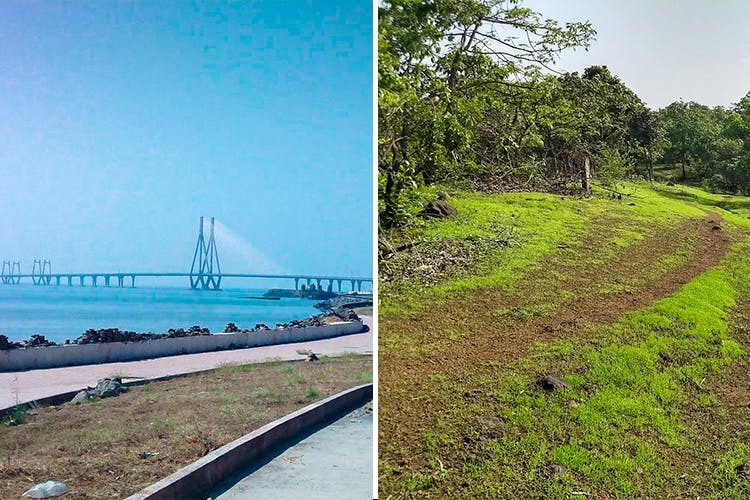 One of the largest parks in Mumbai, covering about 27 acres, you have the option of running in a green space with a sea view. There are a number of paths within the park for running, including a perimeter path of 1 mile. For beginners, one should try running in Mumbai’s beaches because running on wet sand is considered one of the best running techniques for both beginners and advanced runners. While you’re practicing, try running with a friend or a partner who motivates you. One of the best tips to not get breathless is to actually jog or run at a pace where you can still talk. Keep yourself hydrated with plenty of fluids and eat light till D-Day.